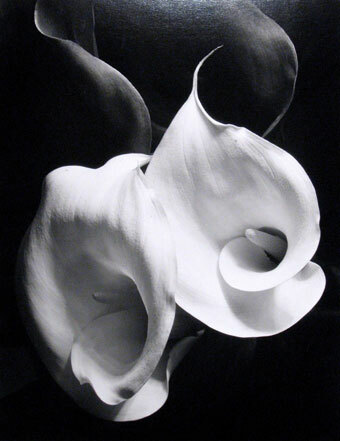 Imogen Cunningham (American, 1883-1976), Two Callas, ca. 1929 (negative); printed later, gelatin silver print, Bequest of Fae Heath Batten, © 1929 Imogen Cunningham Trust, 1997.58.40. 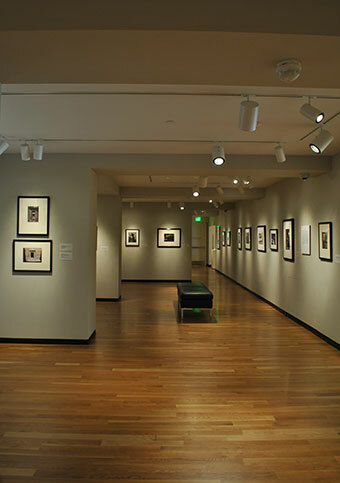 The Museum’s commitment to photography extends back to 1905, when the Portland Society of Photographic Art initiated a regular program of exhibitions. Today, a dedicated space in the Jubitz Center for Modern and Contemporary Art ensures that photography is on view at all times. The collection numbers some nine thousand photographs. Highlights include Edward Curtis’s for his major publication The North American Indian; Minor White’s early Works Progress Administration pictures of Portland and its environs; and significant holdings of work by Jonathan Brand, Bea Nettles, Věra Prášilova Scott, and Arthur Taussig. Unique aspects include more than five hundred images by Soviet-era Russian photographers, and the Blue Sky Collection, with selections from the more than 750 shows at Portland’s renowned Blue Sky Gallery. The collection also includes work by noted contemporary artists, among them Richard Mosse, Vik Muniz, Cindy Sherman, Lorna Simpson, and Carrie Mae Weems.